The chairman of the committee and the Director General of the National Space Research and Development Agency, Prof Seidu Mohammed, said this while presenting the report of the committee to the Minister of Science and Technology, Dr Ogbonnaya Onu. In a statement made available to our correspondent at the end of the presentation by the Head, Press and Public Relations, Ministry of Science and Technology, AbdulGaniyu Aminu, Mohammed said a study conducted by Julius Berger on the geological, hydrological and geotechnical investigation for Abuja identified Mpape as a shear zone that was weak with several fractures and faults system. Mohammed said Nigeria was now prone to seismic hazards following a recent earthquake occurrence in Kwoi, Kaduna State; Saki, Oyo State and Ibgogene in Bayelsa State all in 2016. The latest, he added, occurred on September 7, 2018, in Mpape, Abuja. He added that water extraction and recharge imbalance from aquifer were causing hydrological instability along the fractures. The committee further recommended detailed seism tectonic study using state-of-the-art equipment of the area and the entire country. 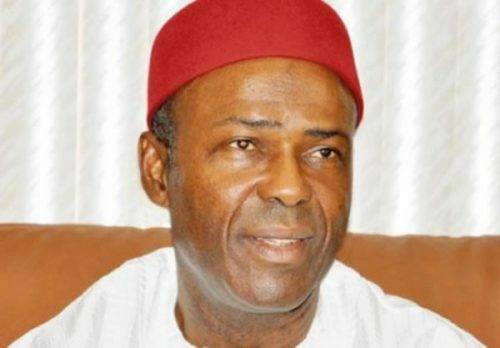 Responding, Onu said the Federal Government would conduct further research and monitor earthquake-prone areas in Abuja and other parts of the country so as to predict and forestall probable negative fallouts in the future. Onu further said it was high time Nigeria worked on the building code and materials used in housing construction in case tremor occurred in the future, adding that the buildings and building materials should be such could withstand any likely tremor. He said the inclusion of the Director-General of the Nigeria Building and Road Research Institute in the committee was of immense benefits to the work of the committee. The Director-General of Nigeria Building and Road Research Institute, he explained, was included in the committee so that the right building code and materials that could withstand future tremors could be suggested to the committee. Onu thanked the committee for doing a thorough job by collecting data from all seismic centres, earthquake monitoring laboratory in Obafemi Awolowo University, Ile-Ife and the Centre for Atmospheric Research in Ayangba, Kogi State.